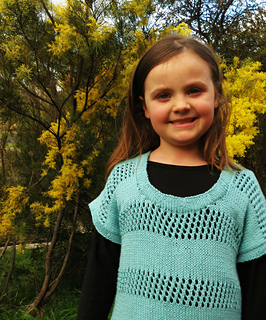 After releasing the Autumn Skyline pattern earlier this year, Miss 7 wanted her own! So, the Little Skyline was born! This top is designed in cotton with 2” of positive ease, it’s light, airy and great for a quick knit! Composed of 2 main pieces the sleeves are knit straight onto the front and back with the neckline and armbands added as the finishing touch. 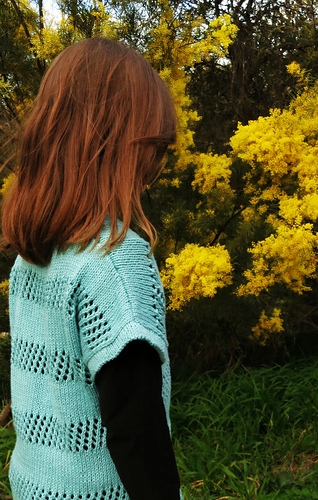 The simple construction combined with the straightforward lace pattern makes this design a great project for beginners looking for that next phase in their knitting adventures. Intermediate Beginner - you will need to know how to knit, purl, increase, decrease, yarn over and there is an alternate option instead of a provisional cast on if you prefer. 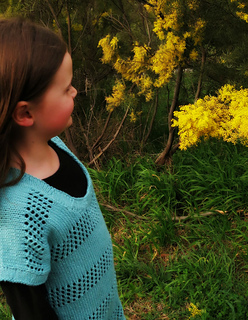 Join my Ravelry Group to keep up to date with new designs, sneak peeks and to show off your projects! 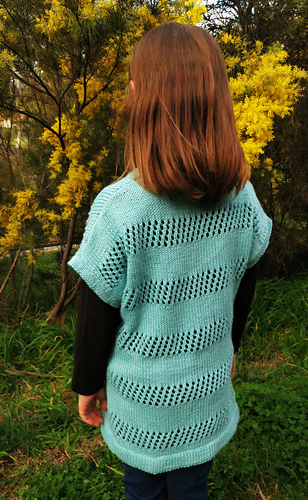 The copyright of this pattern remains with the author – Leeana Gardiner. It is intended for personal use only and is not to be shared with others. Please direct your friends to purchase their own copy! If you are personally hand knitting items, you are welcome to do what you wish with your finished items, whether that be sell, gift or donate. Please do not claim the design to be your own.